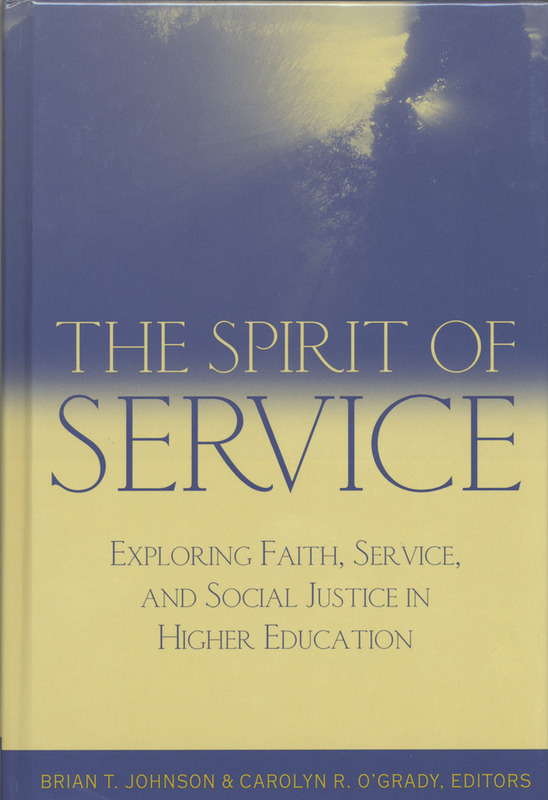 The Spirit of Service: Exploring Faith, Service, and Social Justice in Higher Education, co-edited by Chaplain Brian Johnson and professor Carolyn O’Grady, both of Gustavus Adolphus College, is a collection of accounts from professors and administrators as they reflect on their experiences. Divided into three parts, the book explores the meaning, practice, and implementation of spiritually motivated service; offers specific examples from faculty for integrating faith perspectives with service; and focuses on specific dilemmas and implications for engaging in service for social justice. The editors suggest that fostering the development of undergraduates’ concepts of social justice can be achieved through service opportunities and spiritual discovery. Johnson has served as a chaplain at Gustavus since 1996 and is well known for his lectures at Luther Seminary and artistic direction for the annual Christmas in Christ Chapel. O’Grady is an associate professor of education, whose research interests include education for social justice, spirituality in education, and K-16 service learning. The book is available through Anker Publishing Company’s website at www.ankerpub.com or by calling (toll free) 877-212-3838.